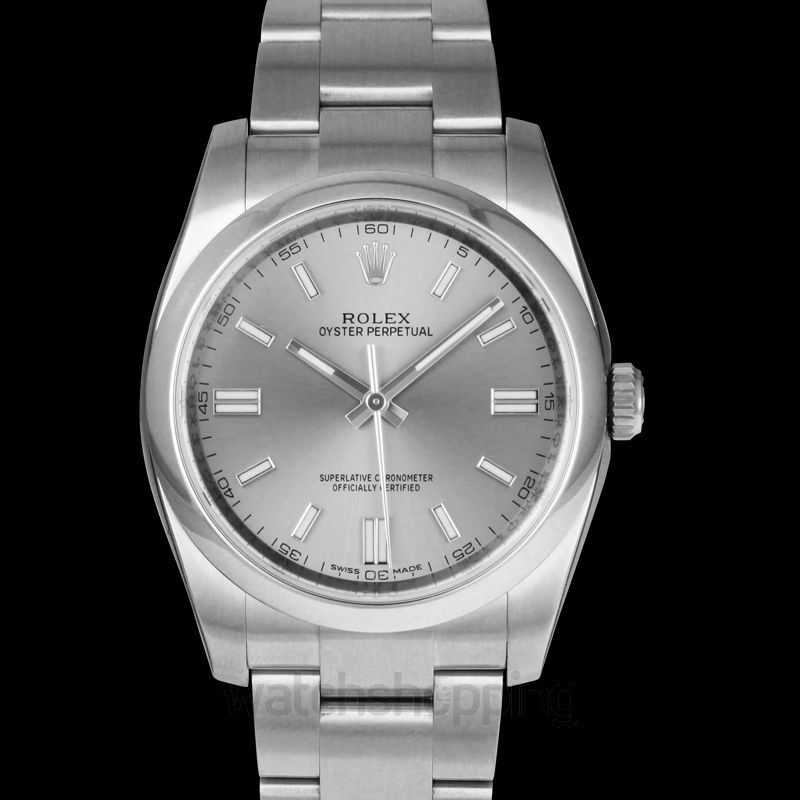 A shining timepiece from Rolex, this watch is mastered with an oyster steel casing and a sturdy sapphire crystal that allows the watch to be scratch proof. 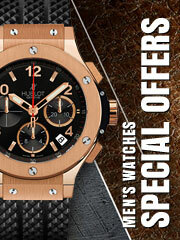 It features perpetual, mechanical, and self-winding movements so that you can enjoy a smooth working. 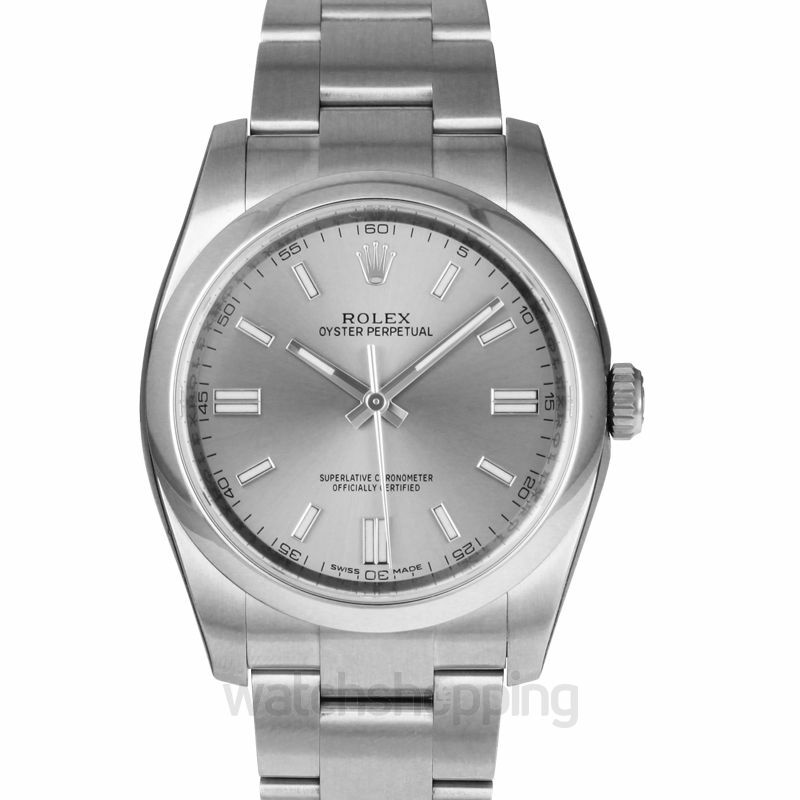 The beautiful rhodium dial has a sunburst finish and minute markers around the rim. 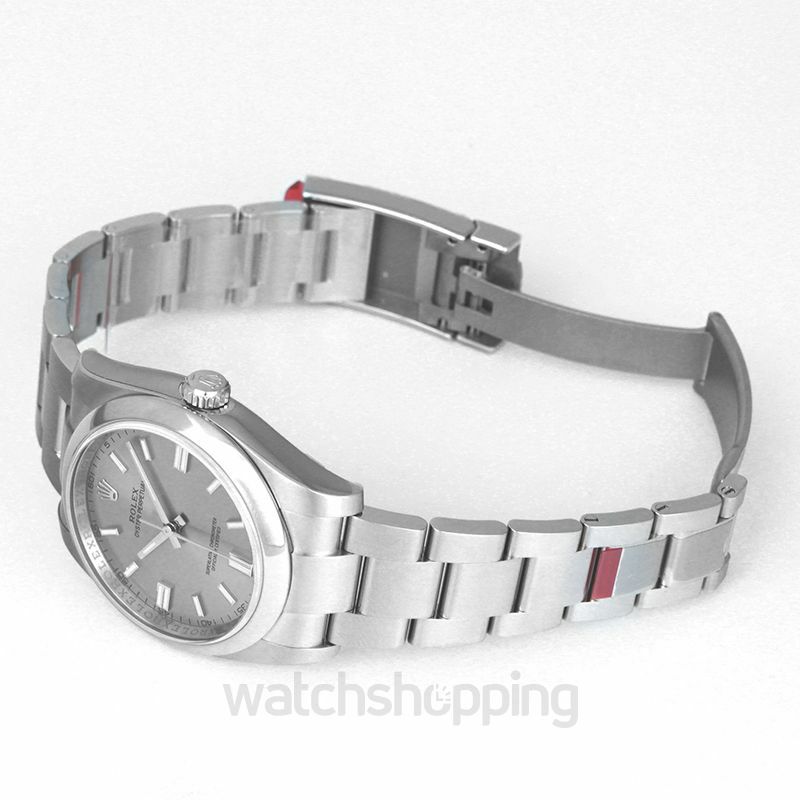 Furthermore, the watch has a solid back with a 36 mm diameter. 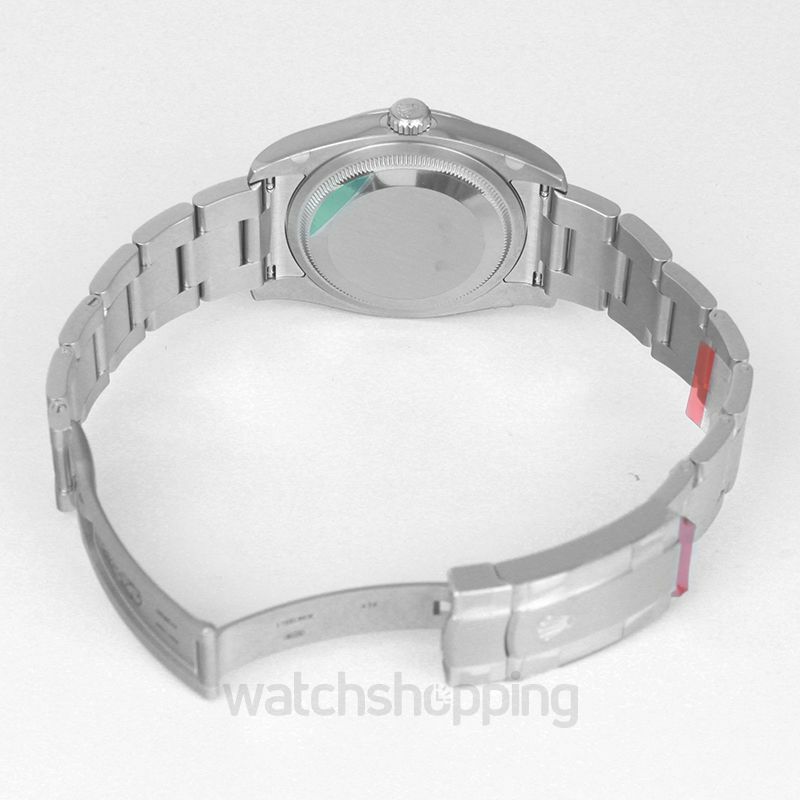 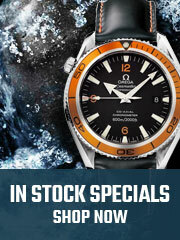 A dome-shaped bezel is also fitted to give the watch a trendy look.